With a new year upon us, it's helpful to pause and reflect on the major human resources challenges of 2018. Last year presented more than its fair share of unique difficulties to HR professionals, many of which are likely to continue on, or take new forms during 2019. With that in mind, here are some of the biggest HR challenges of 2018, and the best way for companies to overcome them in the new year. With the explosion of the #MeToo and #TimesUp movements, sexual harassment has become even more of a hot button issue, with stories of inappropriate behavior in the worlds of entertainment, politics and media dominating the headlines. In this climate, there's no reason to think that similarly problematic behavior isn't also occurring in other industries. To avoid an unwanted incident in your own business, it's essential to develop, implement and strictly enforce a zero tolerance policy for harassment that is clearly outlined in the employee handbook. "An employer needs to be particularly vigilant regarding acts of harassment in the workplace because the employer may be liable and face Equal Employment Opportunity Commission charges, legal complaints, fines and penalties on top of negative press and damage to its reputation," Beth Zoller, a legal editor at XpertHR, told Employee Benefit News. Closing the gender pay gap became one of the major goals for employers in 2018, and is set to remain a primary target in the new year, and likely for many years to come. With women in the United States being paid, on average, 40 percent less than their male counterparts, it will take some time to achieve full pay equality. Of course, your business can be part of the solution. To determine the amount of inequality in your own company, conduct a pay audit and analyze what the data says about both gender and race, as the pay gap is even more severe for women of color. Also, train managers on how to interview and hire based on the parameters of equal pay laws, such as salary history bans, and how to recognize their own conscious and unconscious biases when hiring, promoting or determining salary. Going hand in hand with increased pay equality is a renewed focus on diversity and inclusion. Creating a healthy and diverse organization starts at the top, requiring HR and upper management figures to make a true commitment to match diversity efforts with corporate strategies and business targets. 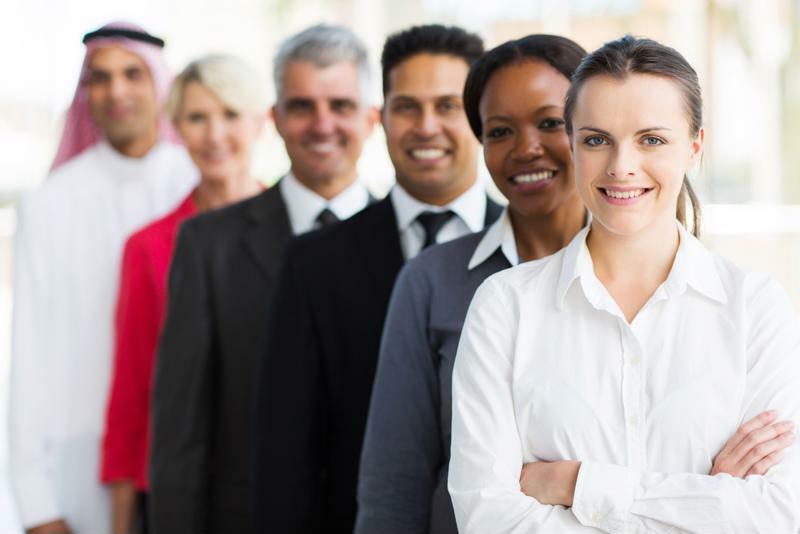 In practice, diversity gets put into effect during the hiring process. Job listings should be neutral, bias-free and focused solely on the actual requirements of the position. Hiring managers should also be made aware of the company's diversity goals and trained on the best interview practices for judging an applicant on their merits, and without bias. Enhancing diversity, like closing the pay gap, is becoming increasingly important to companies. One way that HR is increasingly adding value to a business is through non-compensatory benefits and advantages that create a better environment for employees. A survey conducted by the Vlerick Business School found that autonomy is the non-financial reward that employees are most satisfied with. Finding a way to grant employees more freedom, without creating a system that is too accommodating or undisciplined, has and will continue to be one of the big challenges for HR professionals. "Nowadays, HR is different from how it used to be traditionally," Choong Wai Bin, HR director for McCain Foods, told Human Resources Online. "To me it is important that HR should add value to the business in the sense that we should look into not just management, but also look into taking care of our employees, especially work-life balance. I think this is part of retention to me. If you want to retain people, I think you have to have a good environment to work in." Allowing flexible work hours or, if possible, remote or work-from-home options, can do wonders for employee satisfaction and retention, as it allows them to make their own schedule and not feel too bogged down by their job. Healthcare and a lack of certainty concerning the ultimate fate of the Affordable Care Act were major topics of discussion in 2018, and it seems likely that such uncertainty will persist into 2019. Organizations will need to review their current offerings to make sure that their benefits package is comprehensive and competitive with what other businesses in their industry provide. And it's even more important for employers to make sure that they are compliant with the ACA's regulations and reporting requirements. For help with HR Consulting in 2019, connect with the experts at Triton Benefits and HR Solutions today.